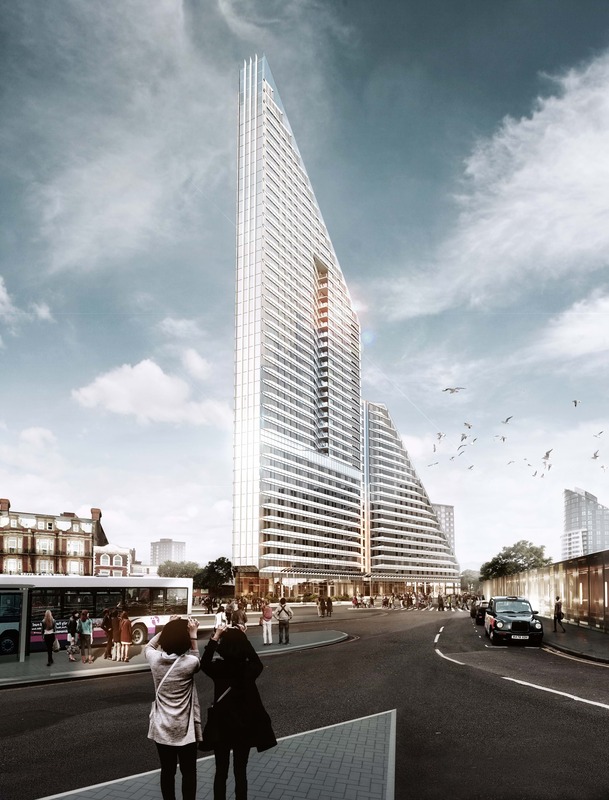 We were appointed to redevelop a redundant twelve-storey office building located at The Hard into a new mixed-use tower. The scheme forms an important regeneration programme to transform The Hard into a high quality UK and European waterside destination. 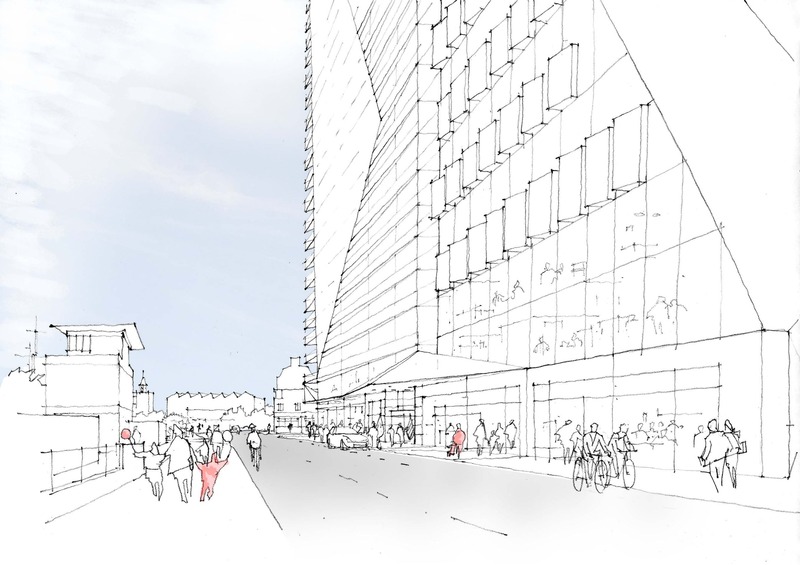 Our design response comprises over 500 student beds and 300 residential apartments with panoramic sea views, together with ground floor retail space. 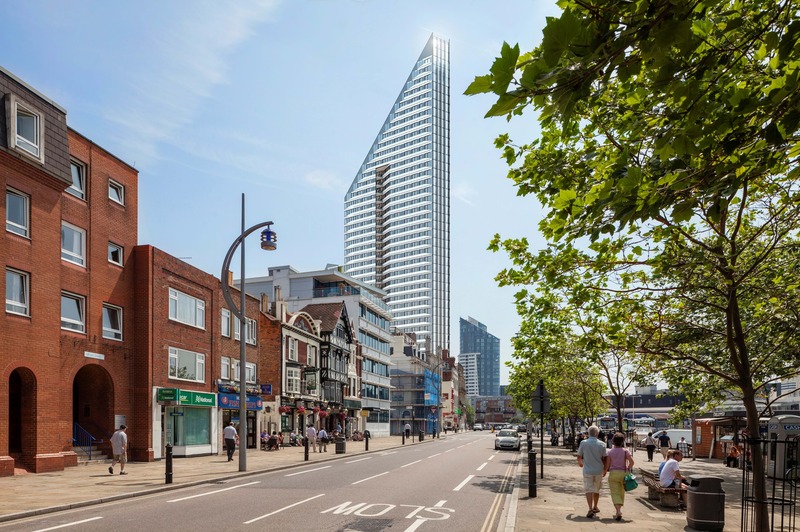 Our proposal carefully considers the surrounding context and ensures that the elegant sweeping form of the building complements the skyline of Portsmouth, the adjacent Spinnaker Tower and Gunwharf Quays. 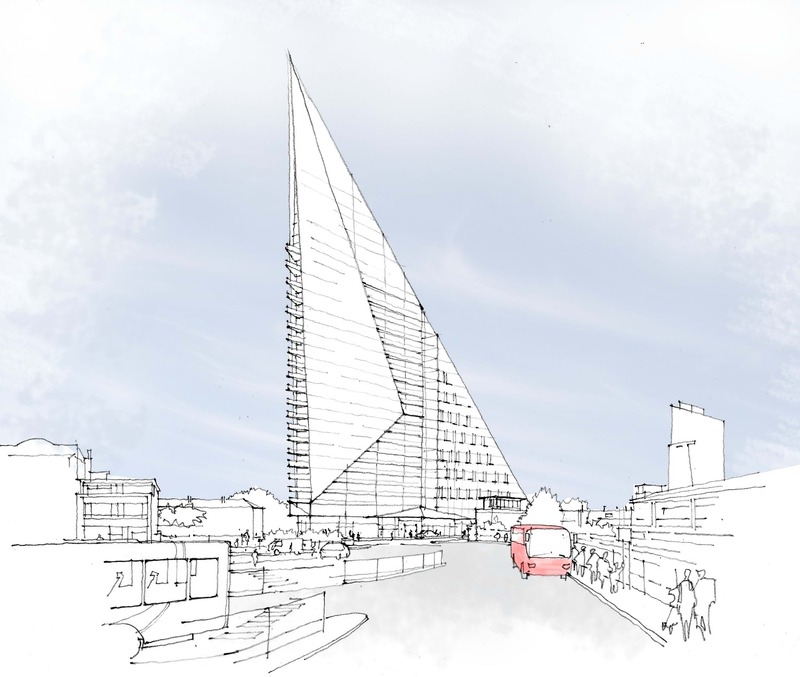 Angled to overlook the historic dockyard, the scheme makes reference to maritime themes; the silhouettes of sails and the vertical forms of masts are referenced in the design. Contemporary oceanic allusions are also made, with the silver/grey cladding dispersing sunlight like the surface of the sea, and the sharp angled forms recalling contemporary yacht design.